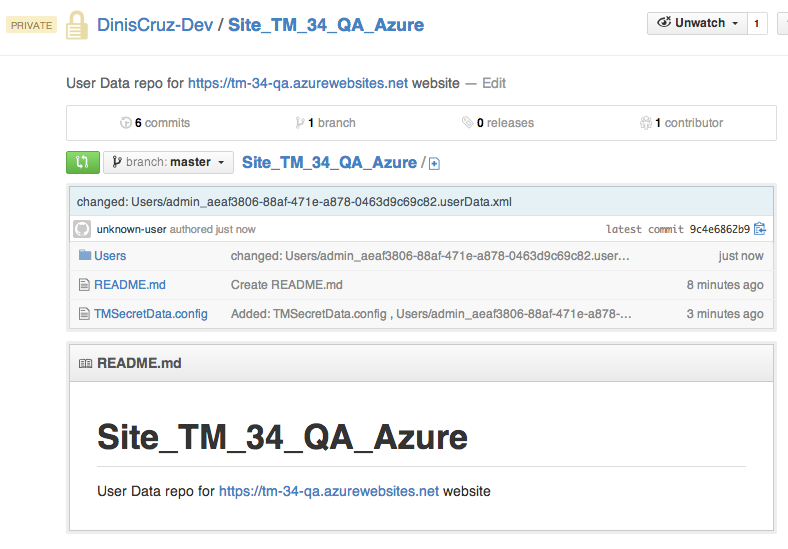 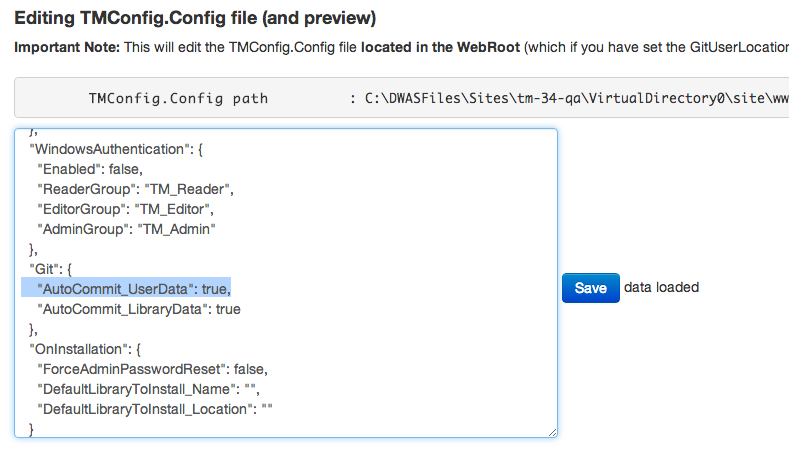 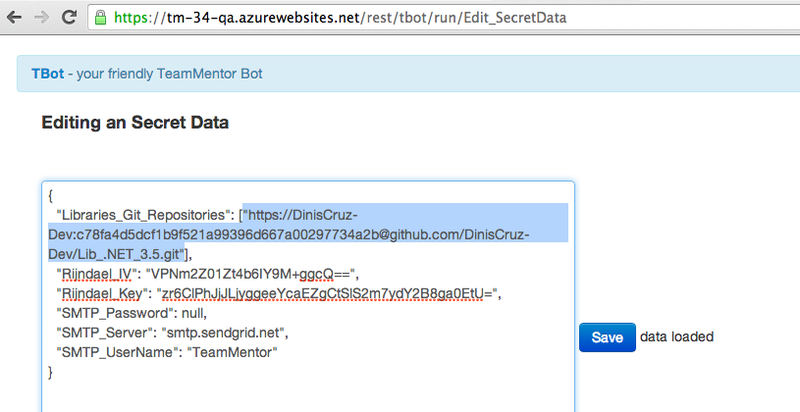 Continuing from where Using TeamMentor 3.4 TBot admin pages to load and sync a Library hosted on GitHub left, this post shows how to use the same technique to sync TeamMentor's UserData with a GitHub repo. 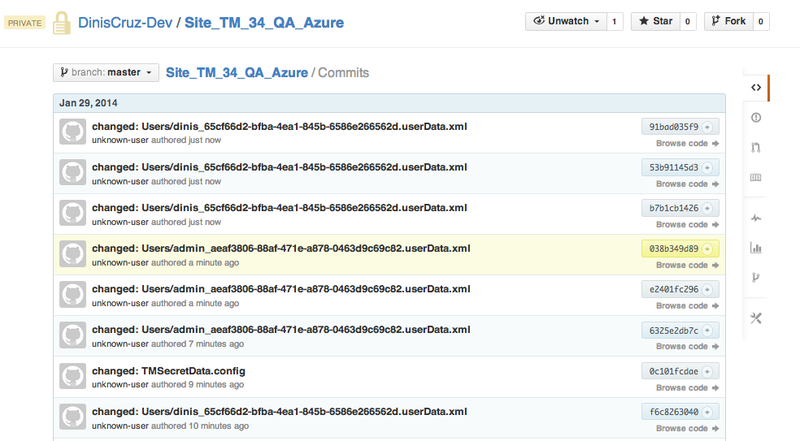 The first task is to create a Private repo to hold the UserData contents. 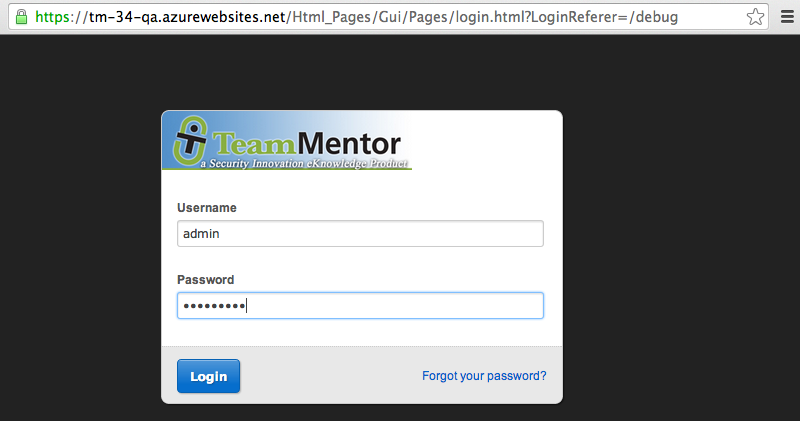 Important: Because it will contain sensitive data about the target TeamMentor instance (like password hashes, session IDs, emails, user activity tracking, SMTP account details and encryption key/salt), don't create a Public repo! 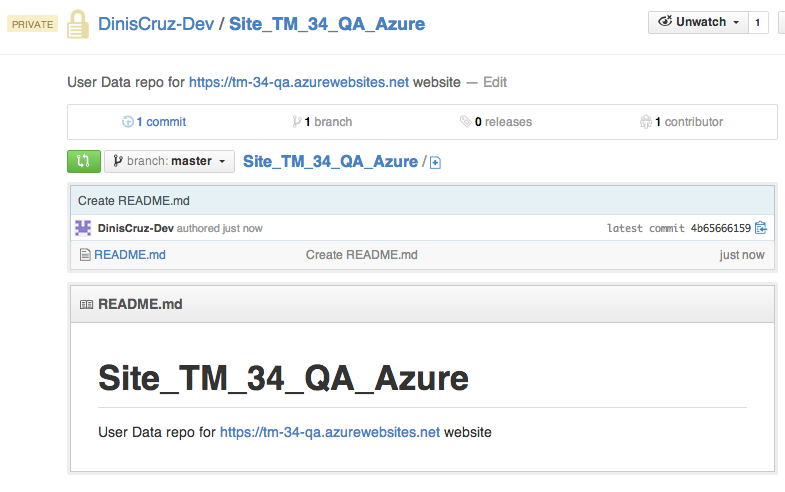 If you chose the option to add a default README file in the previous step, you can ignore this, but if you didn't you will need to make sure that this repo has at least one branch and one file (or the Git Clone from TeamMentor will be left in a non-working state). 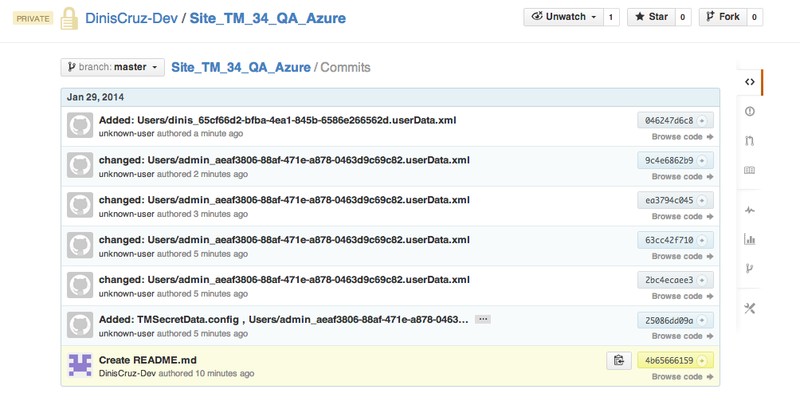 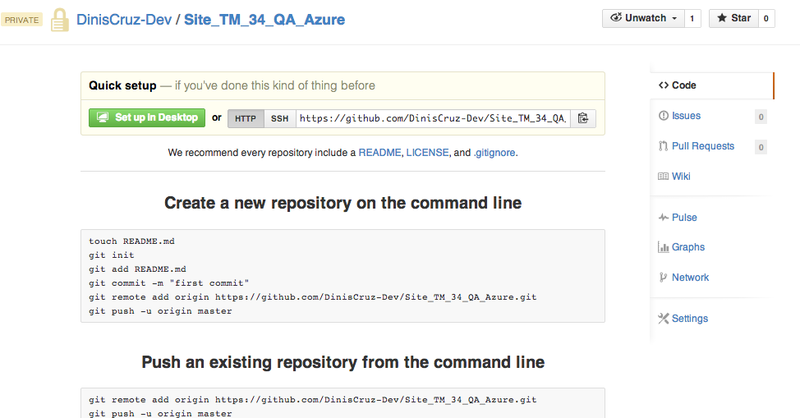 The good news is that you can easily do that from GitHub's interface. 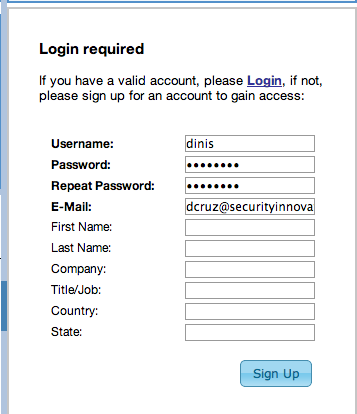 Once that is completed, you will notice that you are logged out from TM.